Here are my favorite tips and tutorials for the past few weeks that were shared in the weekly linkup party that is hosted here on the blog every Monday. 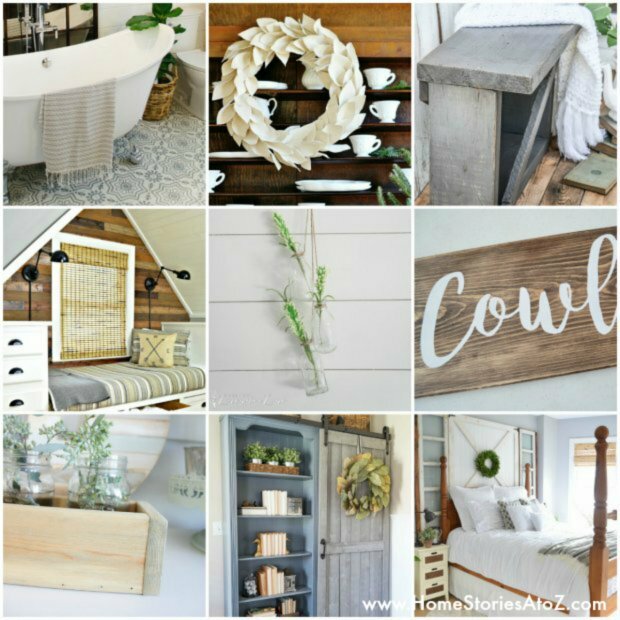 I hope that you all enjoy these farmhouse style projects as much as I do! Thank you to everyone who shared their projects! HI Beth. 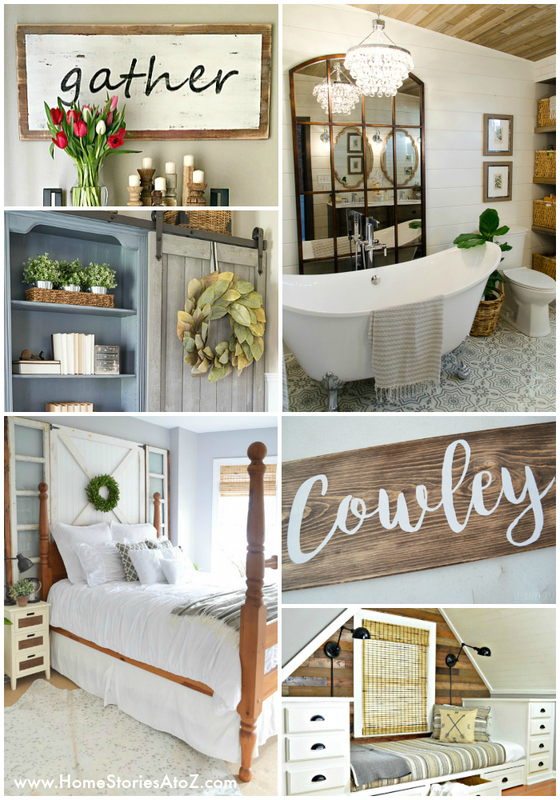 Thank you so much for including my open kitchen shelves and sliding barn door bookcase in your roundup! Love you creative ideas Suzy! Thanks for allowing me to share them! Thank you so much for featuring my built in bed. That clawfoot tub is just dreamy! You always have the best ideas Tricia! Thanks for allowing me to feature you!